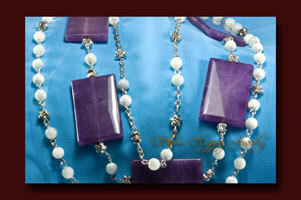 This is quite the statement necklace! 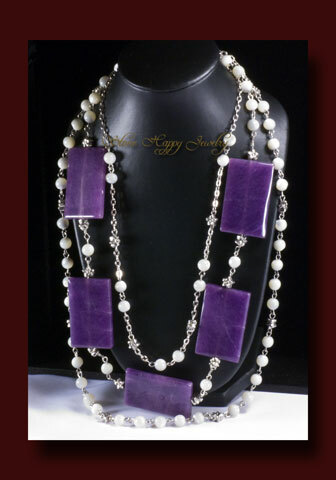 1 1/2 inch by 1 inch purple jade rectangles that are flanked by sterling flower beads and Mother-of-Pearl beads to bring out the veining in the jade. The length of the shortest chain is 18 inches and the longest is 23 1/2 inches. 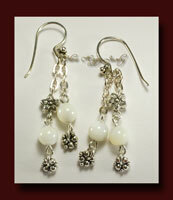 The matching earrings dangle 2 inches from the top of the hook (so from the pierced earring hole).